Are you looking for different ways you can use your drone? Drones are a popular product nowadays. 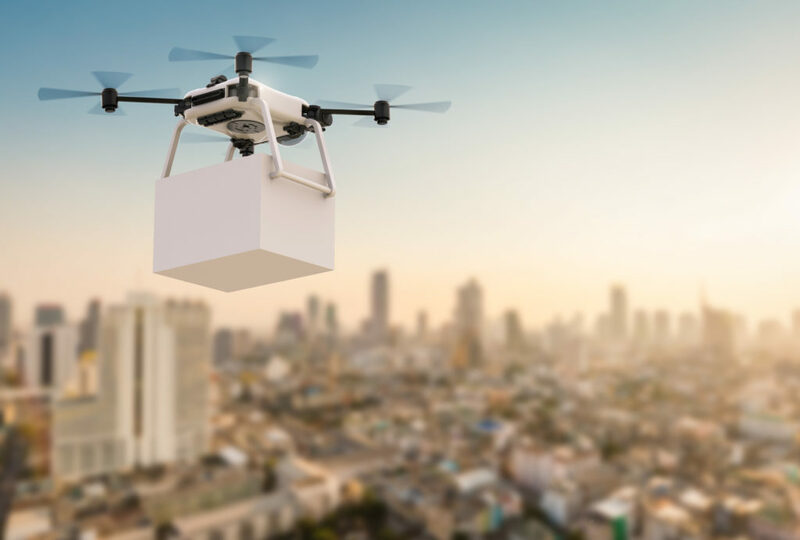 In fact, with their current massive popularity, marketers predict that there will be over 67 million commercial drones shipped around the world by 2021. It would be no surprise to find yourself buying one sooner or later. However, while a commercial package contains a user manual, it doesn’t have a guide on what you can use drones for. There are many uses for drones in many scenarios, but most of the time, people are not sure of what those scenarios are. Below, we’ve prepared a list of the applications you can use drones for. Whenever you’re in a live outdoor event, like one of the concerts of a big band doing a tour, you can expect to get a bad view. Chances are, the moment you hear about it, tickets for the best seats are already all bought up. This leaves you with staring at them from quite a distance or being content with their big screen projection. With a drone though, you can get an amazing view and even record it at the same time. Drones can give you an exclusive aerial view of the event. You can even get different angles of the event using your drone. This will leave you with footage that can stun anyone you show it to. This also applies to any event happening outdoors. You can get a clear view of sports events, political speeches and addresses, and even trade shows with the help of your drone. That said, you should be careful while operating your drone in these events. There may be some laws prohibiting you from making a copy of the event. You should also be careful as fireworks are common in events like these. Everyone has a degree of fascination with a wild animal or two. Sometimes, these fascinations push them to come face to face with one to satisfy their curiosities. Often, this leaves them injured in one way or another. Using drones, however, makes this a safer and exciting adventure. Drones allow you to stay in a safe spot while it ventures out. With the camera that a drone uses, you’ll be able to get a close look at the wildlife that you are on the lookout for. If you’re viewing them for this reason, then you should know that some states consider this an illegal act. This is because the local wildlife in their area is easy to spook with a drone. If you’re doing this in the name of animal preservation though, then you have nothing to worry about. The only thing you should worry about is your battery life. Being out in the field, you should make sure all your equipment have a full charge. Using solar gadgets to power your equipment can help you with this problem. The first time drones became popular, many people tried to think of any drone uses for business. While ideas differed, the common idea they had was using drones for delivery. Today, many big e-commerce companies like Amazon use this concept for their deliveries. You can also do this with your own drone. Most of the time, the only difference between a commercial drone and ones used by Amazon is that they have specialized attachments to help them hold on to their packages. Since they don’t have a patent for these attachments, you can copy their design for yourself. Doing this allows your drone to carry small to medium packages around. You can deliver items to your friends and neighbors nearby by doing this. You can even start a delivery business centered around your drone with this. You only need to bear in mind that commercial drones can’t travel too far on its own. So, you should limit yourself to local deliveries if you do choose to run a business. People always worry about having someone sneak into their home. You can use your drone to help reduce the worries that are on your mind. Drones are a handy tool you can use to check on your front door when someone knocks or to survey the area around your home. You can also use the drone to keep watch of your property. Since many people started trespassing on other people’s homes, many people started to worry about their and their families’ safety. Using a drone can help you identify the perpetrator. Doing this will spook them most of the time, often leading to them never returning again. This also helps make your home trespass free since people tend to avoid any home with a security system of sorts. You can also use this to interact with anyone at your front door. You can do this when you don’t feel safe opening the door or if you don’t feel comfortable with who’s there. There is also a case of drone spying that you should worry about. Since drones are popular, chances are someone else has one too. So, you should take precautions to protect your privacy. One of the main uses of drones is to take photos from the air. You can use this in different ways to capture your own unique photo. For example, on a beach, you can have the drone hover above you while you lie down and make sand angels. You can also use your drone to take a panoramic photo of a wide landscape. In fact, other people use drones to take a 360-degree photo of the area they’re in. Videos are also something you can consider making with the use of your drone. This allows you to take cinematic shots that only movie producers had the means of making before. With this, you can come up with professional-grade videos and cinematic shots. Use your drone to its full potential to make the most of your money. Learn about the common uses for drones and use them on yours now! Were you intrigued by the thought of taking amazing photos? If so, you should check out these tips for taking incredible travel photos. Impress your friends with your photography skills now!